Rent Steinbrueck Native Gallery | Corporate Events | Wedding Locations, Event Spaces and Party Venues. 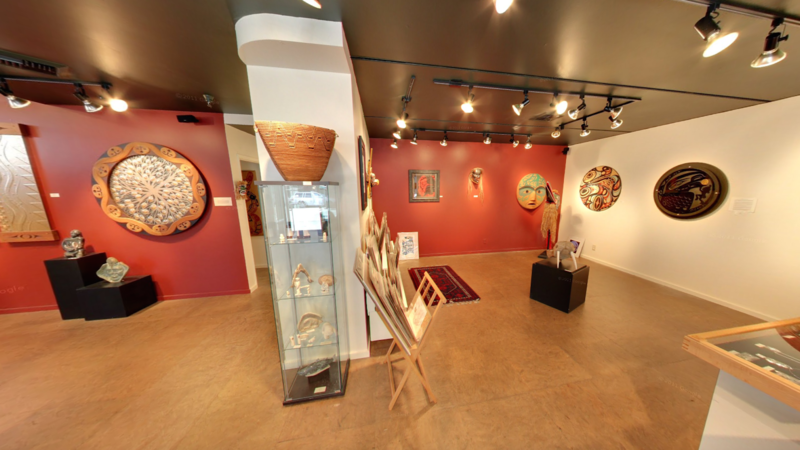 Steinbrueck Native Gallery is dedicated to enhancing and cultivating the appreciation and awareness of the cultural traditions of the Northwest Coast First Nations peoples. The Gallery is a place of gathering for artists and appreciators; collectors and scholars. We pride ourselves on featuring First Nations artists. We exhibit an array of works by long established masters and talented emerging artists. Our diverse collection includes ceremonial masks, panels, paddles, drums, rattles, button blankets, bentwood boxes, limited edition prints, original paintings, baskets, and fine jewelry. The Gallery also features a collection of Alaskan and Arctic art including soapstone, walrus ivory, and whalebone sculpture.